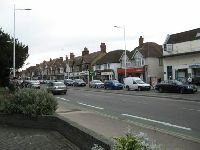 The up-and-coming district of Summertown is fast becoming the citys most popular location. North of the city centre, and dissected by two main thoroughfares into Oxford, this area feels detached from the academic stuffiness of its neighbouring district, the city centre. Instead, it is the home to a vast number of language schools, back street boutiques, and stylish cafes and bars intent on offering alfresco dining throughout the summer months. The presence of BBC Oxford, both television and radio, completes the urban feel. Property in Summertown is traditionally Victorian, with a mixture of detached, semi-detached, and terraced housing. The demand in the market for apartments in this area has led to the construction of some modern buildings. Due to the presence of language schools in the area, and the closeness of the city centre, college and university accommodation can also be found here. Amenities such as banks, supermarkets, a sports centre, and a public library serve the local residents, who are mainly professionals.